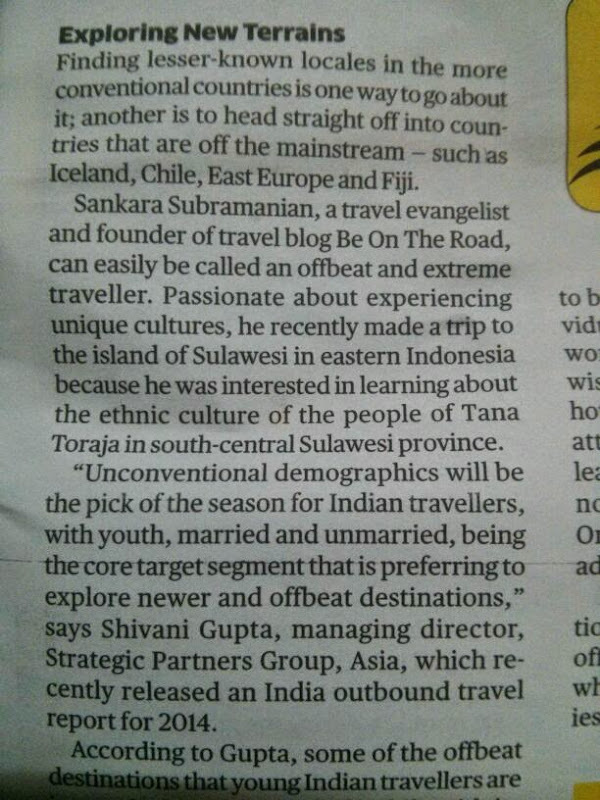 Economic Times Newspaper mentions me - Be On The Road | Live your Travel Dream! It is a Happy Sunday for me!! 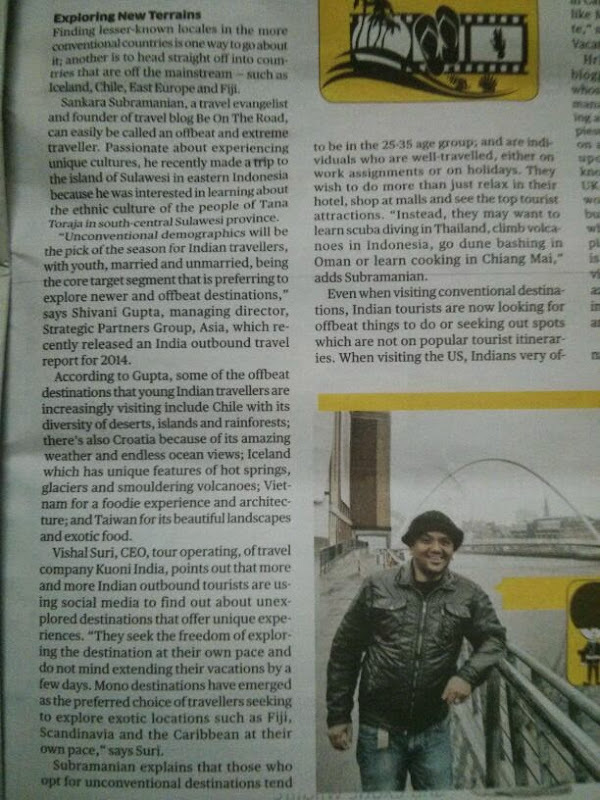 Economic Times, one of the leading dailies of India, have mentioned me and my thoughts on the travel industry in today’s (June 22, 2014) edition of their newspaper. 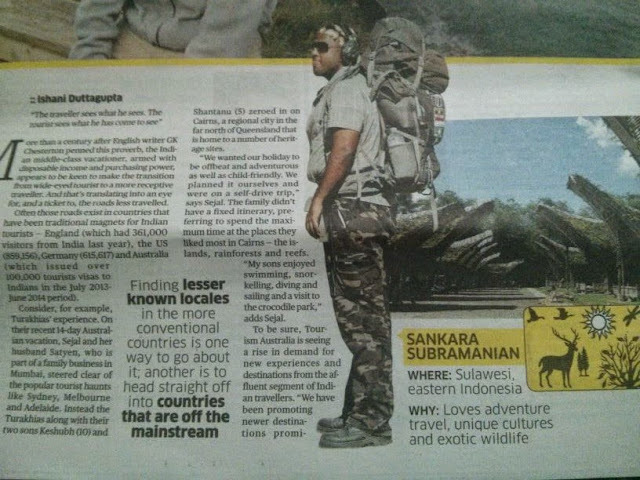 The article is about ‘Affluent Indians opting for unconventional holiday destinations” and it talks about how the new breed of Indians are looking to go off the beaten path and travel with a purpose. It has been written by Ishani Duttagupta. To read the article online, click here. For a sneak preview, look at the screenshots below. 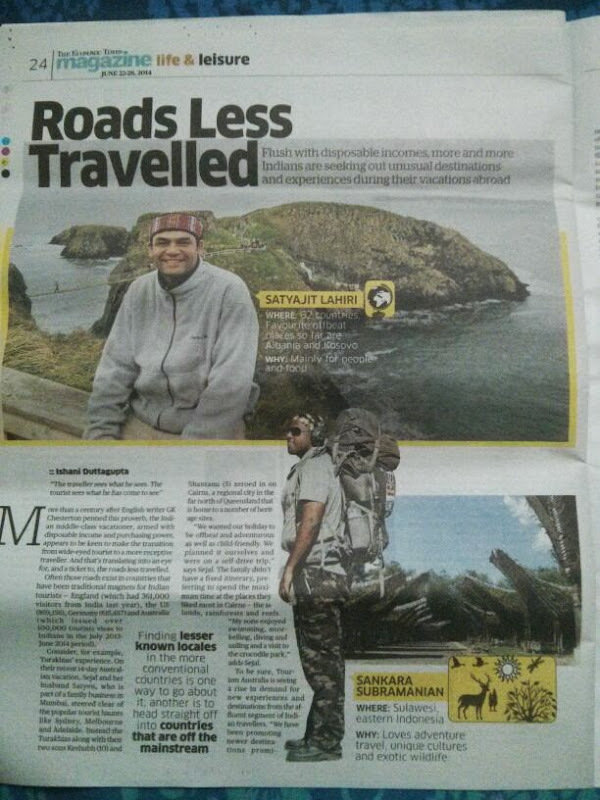 And for the best read, pick up a copy of today’s Economic Times newspaper.